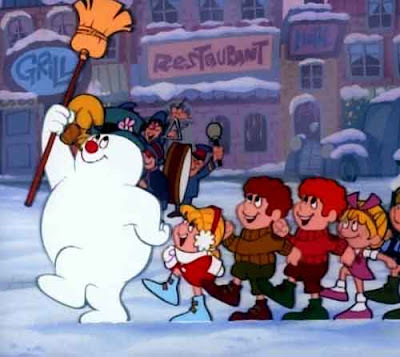 Day 5: Watch Frosty the Snowman as a Family. We have since watched it at least 4 more times since we opened this activity... Honestly I don't mind this. It brings back memories from my own childhood, which is simply wonderful. Day 6: Make a snowman pizza. 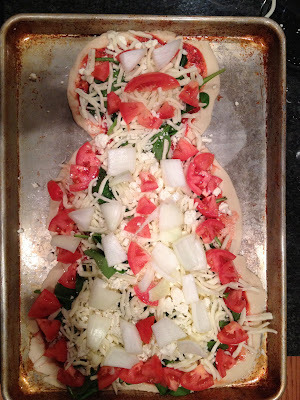 HERE is the recipe for this amazing and very healthy pizza. The only difference I made was shaping the dough into what looked somewhat like a snowman. E for Effort right?! 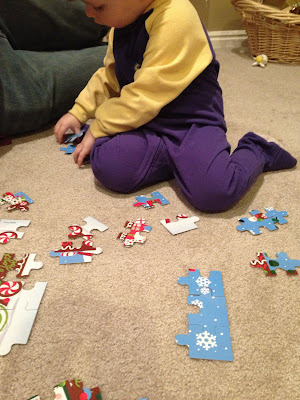 Day 8: Put together a Christmas puzzle as a family. Day 8: Make snowflakes to hang in the windows. I found a great template HERE at the Vintage Junky, to make snowflakes. TOTALLY AWESOME! After I cut them out I ironed them on a SUPER low setting and hung them with little dude. 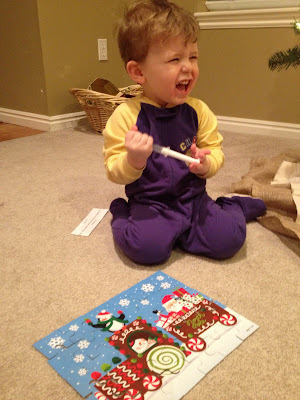 Oh how I love Christmastime!